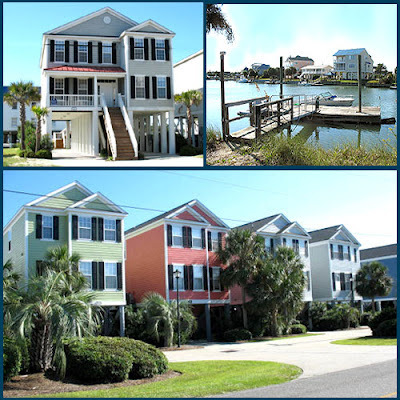 There is no doubt that Myrtle Beach real estate is on the move. I know the media has been sharing all of the horror stories about investors buying condos and losing thousands of dollars. These stories have been true yet there is another story about to be told and we may want to pay attention. Remember, the real estate crash in Myrtle Beach started in late 2005 which is nearly 7 full years ago. The amount of losses rival with some of the biggest losses in history. With all of that said, at some point the Myrtle Beach real estate market will recover. Like most markets, you never know when they will recover until after recovery has taken place. 1. Inventory is decreasing in most areas as much as 30%. 2. Many listed properties are receiving multiple offers to purchase. 3. Land sales are on track for a significant increase in 2012. 4. Builders are starting spec homes again. 5. Custom homes are becoming popular again. 6. Banks are loaning at a faster pace right now. 7. More people are getting real estate licenses. 8. The average days it takes to get a property sold has decreased. When you review the list above, which way do you think the market is heading? It doesn't sound as if it is going to drop more anytime soon. Nobody can predict the market. All we can do is look at the fundamentals of real estate and make an educated guess as to what we think will happen. Personally, I believe it is time to get serious about making some real estate investments in Myrtle Beach and make a move before the media starts talking again. Once it is on the news, it's old news! Please understand, investing should not be done without good information. You want to make sure you have a knowledgeable real estate agent on your side. Any agent can sell you a property, but not all agents can help you make a great investment. You may be looking for a Myrtle Beach home or a condo on the ocean, in either case, there are opportunities out there. Again, don't fall into the trap that investors did last time. The Myrtle Beach real estate market will be a buy and hold market, not that crazy buy, flip and become a billionaire over night. Wealth will be created over the long haul.